The collapse of the global share market since the disasters of September 11 has focused a new interest in the art market as an alternative investment area. The art market has, over the last 20 years, proven to be an extremely successful sector in which to invest. With the right understanding, the 'eye', to select, or with the right advice from a reputed gallery, art can be a very advantageous and profitable investment. The Irish art market in the last 15 years has gone through huge changes. Firstly, the vibrant economy has encouraged many Irish buyers to collect and invest in art. Secondly, the Irish collector has gained a good understanding of the value and the merits of a painting and is therefore more comfortable with his selection. As a working gallery-owner I have observed in the last 11 years that great capital gains have been achieved in the buying and selling of paintings, watercolours, drawings and sculpture. Many clients have achieved very sound returns over a relatively short time. To give an example, a client purchased a Louis le Broquay from me six years ago for £5,000 and has recently sold the same painting for €23,000. This is a good example of how buying with knowledge and a facility to 'read' a painting can give a very profitable return on the investment. For the keen collector I would like to recommend a handful of artists, equally for pleasure but also, this being the point of the article, for investment. Look for good works by Liam Belton, Tony O'Malley, John Shinnors, Nora McGuinness, Neil Shawcross, Evie Hone, Mainie Jellett, Colin Middleton, Patrick Pye, Conor Walton and Mike Fitzharris, amongst others. In sculpture I would suggest that you cast an neye over the works of John Behan, Carolyn Mulholland, Conor Fallon, Elizabeth le Jeune and Olivia Musgrave. In order to offer a more objective overview of the choice out there I approached a number of the leading Dublin Galleries for their suggestions as to the artists who represent a sound investment. 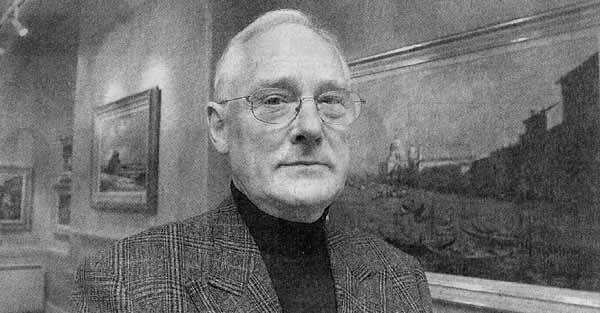 Jim Gorry, of the Gorry Gallery, stresses how important it is to look for quality in a painting and points out that although some 19th-century artists may be considered unpopular now, it is still advisable to collect James and Francis Danby, sons of Thomas; James Arthur O'Connor and George Barrett should also be sought out. David Britton of the Frederick Gallery went for Mark O'Neill, Blaise Smith and Niccolo Caracciolo, Whilst Josephine at the Rubicon recommends Hughie O'Donoghue, Eithne Jordan and Nick Millar. Sarah Longley, Brian O'Casey and Nakiko Nakamura were Antoinette Murphy's choice at the Peppercannister Gallery, whilst over at the Solomon Gallery Suzanne Macdougald suggested Martin Mooney, Hector McDonnell, Brian Ballard and Ronan Gillespie. The Hallward's Mary Tuohy selects Robert Clarke, Michael Canning, David King, Cormac O'Leary and Sarah Walker. The secret of good Buying lies in seeking out quality. Ib Jorgensen is the owner of Jorgensen Fine Art, 29 Molesworth Street, Dublin 2.